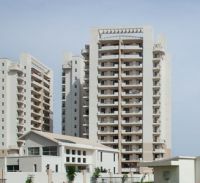 Gurgaon, is one of the first integrated satellite cities in the country. Gurgaon is home to some of the largest multinational companies in the world and is also the fastest real estate destination in India. Gurgaon is an example of the perfect modern residential gated complexes, state-of-the art workspaces, malls, multiplexes and shopping centers. 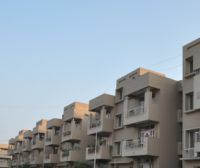 There are numerous options of Group Housing Society, Builders Apartments, Plots, Commercial Offices, Shopping Malls, Hospitals, Schools facilities are available in Gurgaon. Looking to buy a property in Gurgaon. 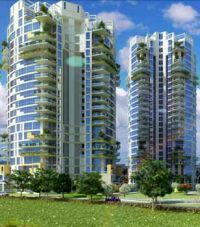 Get details of all Real Estate Projects in Gurgaon. 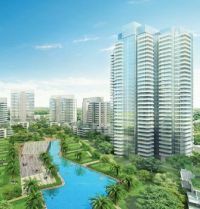 Sector 112, Dwarka Expressway, Gurgaon Experion Wind Chants developed by Experion Developers Pvt Ltd is located in Sector 112, Dwarka Expressway, Gurgaon. Experion Wind Chants is located in close proximity to Indira Gandhi International Airport Delhi and & upcoming Diplomatic Enclave. Experion Wind Chants offers a choice of 2 BHK, 3 BHK and 4 BHK, Penthouse in Dwarka Expressway, Gurgaon. Sector 111, Dwarka Expressway, Gurgaon Puri Constructions - Diplomatic Greens is located in Sector 111, Dwarka Expressway, Gurgaon. Diplomatic Greens is build on a 20 acres of land in Dwarka Expressway, Gurgaon and is a part of 82 acre master plan of mixed development inclusive of Hotel, Retail, and Commercial Space. Diplomatic Greens offers a choice of 3 BHK, 3 BHK + Servantroom, 4 BHK + Servantroom apartment in Dwarka Expressway, Gurgaon. Sector - 110 A, Dwarka Expressway, Gurgaon Mahindra Aura is located in Sector 110 A, Dwarka Expressway, Gurgaon. Around 80% open space in Mahindra Aura is spread over a 17 acres of beautiful landscape township in Dwarka Expressway, Gurgaon. Mahindra Aura brings premium homes in Gurgaon with a choice of 2 BHK, 2 BHK + Study, 3 BHK, 3 BHK + Servantroom, and 4 BHK + Servantroom apartment. Sector - 109, Dwarka Expressway, Gurgaon Raheja Atharva is located in Sector 104, Dwarka Expressway, Gurgaon. 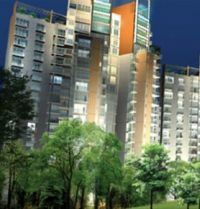 Raheja Atharva offers a choice of 3 BHK (1640 Sq Ft, 1755 Sq Ft, 2251 Sq Ft), 4 BHK (2990 Sq Ft), 3 BHK Penthouse (4370 Sq Ft + 940 Sq Ft- Terrace). Sector - 108, Dwarka Expressway, Gurgaon Experion The Heartsong developed by Experion Developers Pvt Ltd is located in Sector 108, Dwarka Expressway, Gurgaon. Experion The Heartsong is situated 25 minutes drive from Indira Gandhi International Airport Delhi, about 5 minutes drive from Dwarka Metro Station Delhi, approx 45 minutes drive from Connaught Place. Experion The Heartsong offers a choice of 2 BHK, 3 BHK, 4 BHK and Penthouse in Dwarka Expressway, Gurgaon. Sector - 106, Dwarka Expressway, Gurgaon CHD 106 Golf Avenue is located in Sector 106, Dwarka Expressway, Gurgaon. CHD 106 Golf Avenue offers lifestyle living in Gurgaon adorned with a golf course, vast greenscape CHD 106 Golf Avenue is build on 12.34 acres of land in Dwarka Expressway, Gurgaon and is one of the finest exclusive residential neighborhoods, offers a choice of 4 BHK + Servantroom, 3 BHK + Servantroom, 3 BHK, and 2 BHK apartments in Dwarka Expressway, Gurgaon. Sector - 102, Dwarka Expressway, Gurgaon Emmar MGF - Imperial Gardens is located in Sector 102, Gurgaon, next to up-coming Dwarka Expressway. Emmar MGF - Imperial Gardens are build in a modern gated development in nearly 12 acres of land with close to 6 acres of landscape greens. Emmar MGF - Imperial Gardens offers a choice of 3 BHK + Family lounge Apartments. Sector - 92, Gurgaon Raheja Navodaya is located in Sector 92, Gurgaon. Raheja Navodaya a High Quality Urban community living concept located in Sector - 92 / 95, Gurgaon. Just takes about 2 minutes from IMT Manesar. 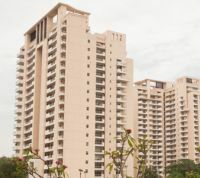 Raheja Navodaya is build on a 17 - Acres of Group Housing in Gurgaon. 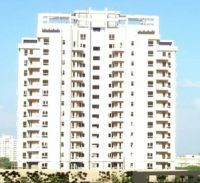 Raheja Navodaya offers a choice of 1 BHK, 2 BHK, 3 BHK, and 4 BHK, 4 BHK + Servant room Penthouse in Gurgaon. Sector - 92, Gurgaon Sare Crescent Parc is located in Sector 92, Gurgaon. 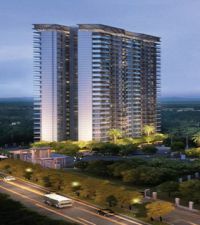 Sare Crescent Parc is build on a 66 acres of land in Gurgaon and conveniently connected to every important location in Gurgaon. Sare Crescent Parc offers a choice of 3 BHK, and 4 BHK Apartments in Gurgoan. 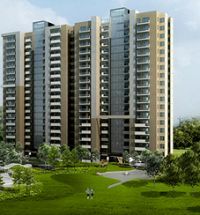 Sector - 86, Gurgaon DLF Skycourt is located in Sector 86, Gurgaon. 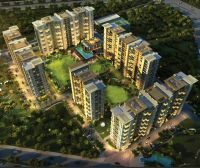 DLF Skycourt is a part of DLF Garden City Gurgaon designed in a Mediterranean Style. 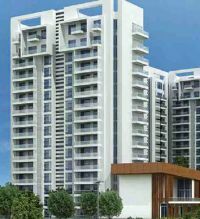 DLF Skycourt is large residential complex separated into 2 separate smaller complexes which are self-suffient with facilities and comes with a choice of 3BHK (1846 - 1867 Sq. Ft.) Unit Size. 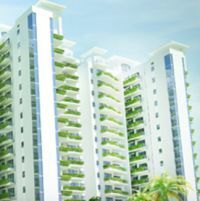 Sector - 86, Gurgaon Microtek Greenburg is located in Sector 86, Gurgaon. Microtek Greenburg is located in close proximity to Northern Periphery Road (NPR), Kundli-Manesar Palwal Expressway (KMP). 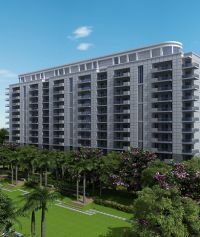 75 % of apartments in Microtek Greenburg are open to green. 2 Large Swing Pool. High End Luxury features and facilities. Microtek Greenburg offers a choice of 2 BHK (1480 Sq Ft), 3 BHK + Servant Room (1895 Sq Ft), 4 BHK + Servant Room (2285 Sq Ft), 4 BHK + + Servant Room + Study Room (3005 Sq Ft). 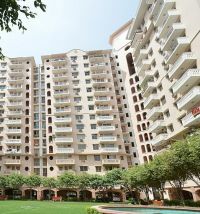 Sector - 85, Gurgaon SS Group - The Leaf is located in Sector 85, Gurgaon. The Leaf is only 2 kilometers drive from the National Highway 8 and has direct access to the Dwarka-Gurgaon State Highway. The Leaf by SS Group are finest residential project in Sector 85, Gurgaon. There are 544 Apartments in The Leaf and choice of 2 BHK, 3 BHK, 4 BHK, 4 BHK Duplex and 5 BHK Duplex Units. 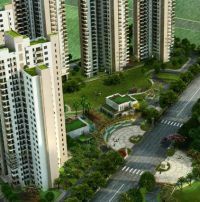 Gurgaon One by Alpha G Corp is located in Sector 84. Sector - 80, Gurgaon Godrej Frontier is located in Sector 80, NH 8 (Delhi-Jaipur national Highway), Gurgaon. 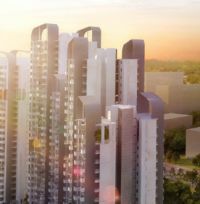 Godrej Frontier faces a 36-metre-wide green belt entral landscaping and the panoramic greenery lavish the entire property with picturesque views. Godrej Frontier is in close proximity to various schools, hospitals and the proposed Metro station. 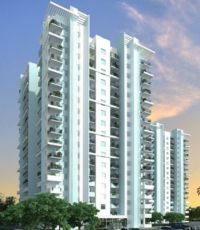 Godrej Frontier offers a choice of 3 BHK, 3 BHK + Utility Room, 4 BHK + Lounge, 4 BHK + Utility Room, 4 BHK Penthouse. Sector - 71, Gurgaon CHD Avenue 71 is located in Sector 70, Off. Sohna road, Gurgaon. CHD Avenue 71 is a premium multi storey project strategically located on Sohna Road, Gurgaon. Build on a 16.5 acres land, with just 18% ground coverage, and the rest dedicated to greenery. There 862 dwelling apartments in CHD Avenue and offers a choice of 2 BHK + Servant room, 3 BHK + Servant room, 4 BHK + Servantroom, 4 BHK Penthouse. Sector - 70, Gurgaon BPTP Monet Avant Floors is located in Sector 70, Gurgaon. Monet Avant Floors is a part of Astaire Gardens, an integrated township in Gurgaon. The Astaire Gardens township is spread over 102.2 acres of land in Gurgaon. Excellent connectivity to the Southern Periphery Road (SPR) via the 24m wide road and proposed connectivity via 60m wide sector road. BPTP Astaire Gardens is a self-contained township, will feature education centres, health care facilities and all modern amenities to ensure absolute comfort for its residents. BPTP Monet Avant Floors offers a choice of 196 Sq Yard, 250 Sq Yard, and 350 Sq Yard sizes. 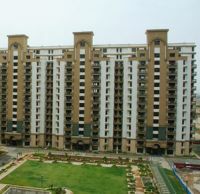 Sector - 70, Gurgaon Unitech South Park is located in Sector 70, Gurgaon. 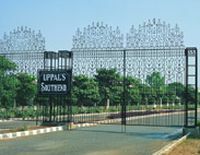 Unitech South Park is build on a 28 Acre secure township in Gurgaon with 80% open area. Well connected to NH - 8 & Golf Course Extension Road. South Park is located close to Retail and Commercial, Schools, Hospitals. 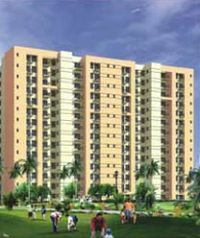 Unitech South Park offers a choice of 2 BHK (1255), 3 BHK, 3 BHK + Servant Room (1625 Sq Ft, 1640 Sq Ft, 1660 Sq Ft). 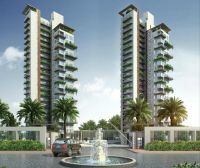 Sector - 70 A, Gurgaon Paras Irene is located in Sector - 70 ,A Gurgaon. Paras Irene is one of the upcoming project Off. Southern Peripheral Road (SPR). 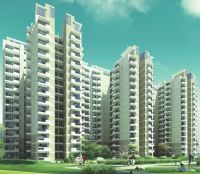 Sector - 69, Gurgaon Tulip Violet is located in Sector 69, Gurgaon. Tulip Violet is only a short distance away from main Sohna Road, Gurgaon. 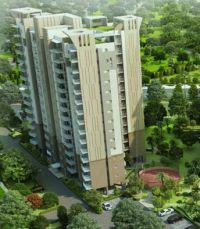 Tulip Violet offers a choice of 3 BHK (1578 Sq Ft), 4 BHK (2010 Sq Ft), 4 BHK Penthouse (3156 Sq Ft) Units. Unitech Sunbreeze is located in Sector 69, Gurgaon. Sector - 68, Gurgaon M 3 M Marina is located Off. Golf Course Extension Road, Sector 68, Gurgaon. 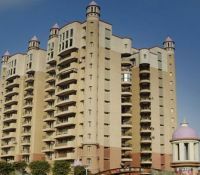 M 3 M Marina offersa Panoramic view of Aravalli hills in Gurgaon. Surrounded by luxury villas & low rise development. Short drive from NH-8 and Sohna road. M 3 M Marina comprises of comprises of 1100 apartments and offers a choice of 2 BHK, and 3 BHK Apartments in Gurgaon. 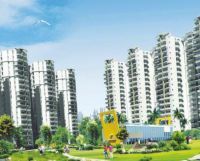 Sector - 68, Gurgaon Supertech Hues is located in Sector 68, Gurgaon. Supertech Hues is spreads over 70 acre of land in Gurgaon with 85% lush greens. 3 side open homes in Supertech Hues with Luxurious specifications. Double height entrance lobby. Protected by a gated community, parking at two-level parking basement. Supertech Hues offers a choice of 2 BHK, 2 BHK + Study Room, 3 BHK Units. Sector - 68, Gurgaon Era Skyville Crest is located in Sector 68, Gurgaon. 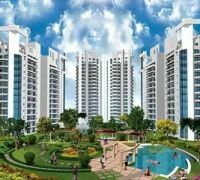 Sector - 67A, Gurgaon Ansal Versalia is located in Sector 67 A, Off. Sohna Road, Gurgaon. 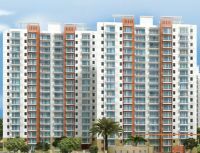 Ansal Versalia is the latest upcoming project by Ansal API situated at Off. Sohna Road, Gurgaon. 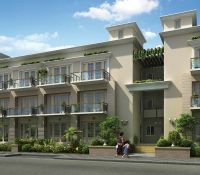 Ansal Versilia Gurgaon is a luxurious residential project and offers a choice of 3 BHK and 4 BHK independent floors in Gurgaon size ranging from 269 Sq yard to 330 Sq Yard. The Ansal Versalia project is build on a total land area is of 112 acres of land in Gurgaon. Sector - 61, Gurgaon Pioneer Park is located in Sector 61, Golf Course Extension Road, Gurgaon. Pioneer Park is build over 76 acres of land in Sector - 68, Gurgaon is a Mixed Used Development. 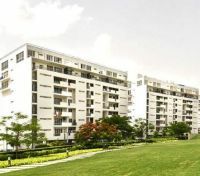 Pioneer Park is been designed for contemporary modern living in Gurgaon. Pioneer Park is a premium residential community comprises of Presidia, Residential Tower, exclusive corporate office, a luxury hotel. Pioneer Park offers a choice of 5 BHK, 4 BHK, 3 BHK apartments in Golf Course Extension Road, Gurgaon. 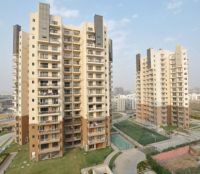 Sector - 59, Gurgaon Tata Raisina Residency is located in Sector - 59, Gurgaon. Offering a spectacular view of Aravali Hills on one end and the backdrop of the Gurgaon city skyline on the other end. With green landscaping, Tata Raisina Residency offers a choice of 5 BHK Duplex, 4 BHK, and 3 BHK apartments. Tata Raisina Residency is set on a 11.73 acres of land, along Gurgaon's most sought after address - Golf Course Extension Road. Sector - 58, Golf Course Extension Road, Gurgaon IREO Grand Arch is located in Sector - 55, Golf Course Extension Road, Gurgaon. With its signature arch-shape towering over the Sector - 58, Gurgaon Skyline, is build on a 21 acres of land in Gurgaon, with 4 side open residences with extra-high ceilings for that villa - like spaciousness. Ireo Grand Arch stands tall as one of the most anticipated residential project in India. 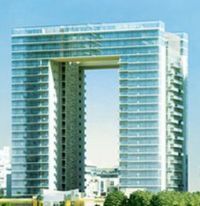 Ireo Grand Arch is a part of IREO City Gurgaon build on a 500 acres of land as an integrated township in Gurgaon and offers a unique mix features that will include School, Hospital, Parks, Luxury Hotels, Shopping Malls, Service Apartments and Office Complexes. Ireo Grand Arch offers a choice of 2 BHK, 3 BHK and 4 BHK apartments in Golf Course Extension Road, Gurgaon. 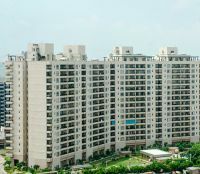 BPTP, Freedom Park Life is located in Sector - 57, Gurgaon. BPTP, Freedom Park Life is situated at the centre of Gurgaon, it enjoys superior connectivity through the Golf Course Extension Road, Sohna Road and NH-8. This is an exclusive and ready-to-move-in apartments in Gurgaon offering a choice of 2 BHK, 2 BHK + Studyroom, 3 BHK, 4 BHK, and 5 Bedroom Penthouse. 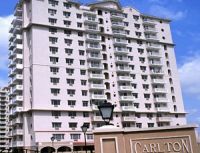 DLF Carlton Estate is located in Sector - 54, Golf Course Road, DLF Phase V, Gurgaon. DLF Carlton Estate is situated Off. Golf Course Road and offers a choice of 3 BHK and 4 BHK Ready to move Apartments in Gurgaon city. Sector - 49, Gurgaon Bestech Park View City is located in Sector 49, on main Sohna Road. Bestech Park View City is divided into parts - Bestech Park View City 1 and Bestech Park View City 2. 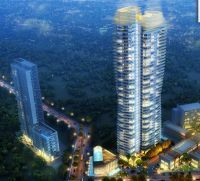 Only a short drive away from Shopping Malls, Corporate Office Towers, Schools. Bestech Park View City offers a choice of 3 BHK, 3 BHK + Study Room, 3 BHK + Study Room + Servant Room, 4 BHK, 4 BHK + Servant Room Units. Bestech Park View City is already an established residential township in Gurgaon. 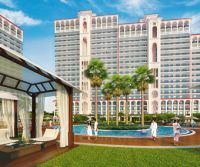 Sector - 49, Gurgaon Eros Wembley Premium Tower is located in Sector 49, on main Sohna Road. 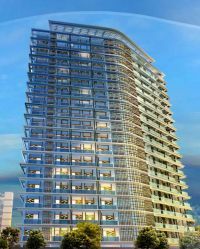 Eros Wembley Premium Tower Gurgaon is already an established residential township. 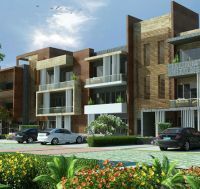 Sector - 49, Gurgaon Omaxe The Nile is located in Sector 49, on main Sohna Road. Omaxe The Nile comprises of 416 multi-storey apartments and offers a choice of 3 BHK + Servant Room and 4 BHK + Servant Room Units. Sector - 49, Gurgaon Orchid Petals is located in Sector 49, on main Sohna Road. 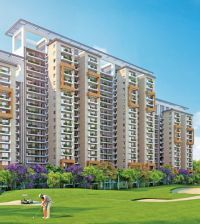 Orchid Petals is developed on 37 acres of land in Sohna Gurgaon Road and stands as one of the largest and luxurious residential complexes in Gurgaon. 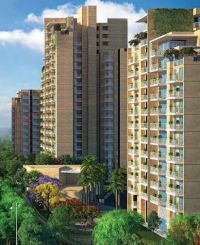 Orchid Petals offers a choice of 3 BHK and 4 BHK Units. Orchid Petals has an abundant area covered by green gardens, lawns, and parks. Sector - 49, Gurgaon SS Group - The Lilac is located in Sector 49, on main Sohna Road. SS Group - The Lilac Gurgaon is already an established residential Row Housing in Gurgaon. Type of Development in SS The Lilac are Ground + 2nd Floor and comprise of 2 BHK, 3 BHK, and 4 BHK Units. Sector - 49, Gurgaon Vatika City is located in Sector 49, on main Sohna Road. Vatika City Gurgaon is already an established residential township. Vatika City is spread over 37 acres of land in Golf course road (extension), Gurgaon. It features a series of Low-rise, Mid-rise and High-rise buildings offering over 1400 apartments with choice of 2 BHK, 3 BHK, 4 BHK Units along with duplexes and penthouses. Central Park II is located in Sector 48, Sohna Road, Gurgaon. Central Park 2, is situated along the Sohna Road, one of Gurgaon's most sought after locations, Central Park II will stand to reflect its larger-than-life magnificence. 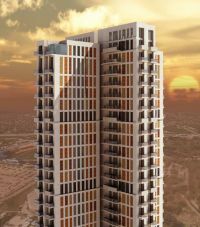 Its tall standing elegant buildings will offer unobstructed views of Gurgaon Sohna Road. Central Park 2 is rated among the Delhi's National Capital Region most elite luxury residences. 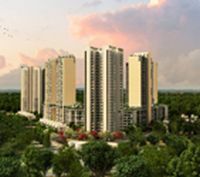 Central Park II offers a choice of 3 BHK Apartments. 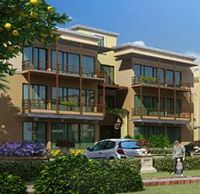 Sector - 48, Gurgaon Vipul Tatvam Villas is located in Sector 48, Sohna Road, Gurgaon. Build on 50 acres of land in Gurgaon and is a a part of 150+ acres premium integrated township called Vipul World. There 254 exclusive villas designed in Vipul Tatvam Villas and comprises of 5 BHK Villa (Gagan - 956 Sq Yard), 5 BHK (Soorya - 725 Sq Yard), 4 BHK (Neer - 358 Sq Yard), 3 BHK (Bhoomi - 287 Sq Yard). Vipul Greens is located in Sector 48, Sohna Road, Gurgaon. Vipul Greens is an adobe, beautifully planned 17.18 acres of land in Gurgaon Sohna Road. Vipul Greens Offers a choice of 3 BHK, 3 BHK + Study, 4 BHK with Two Apartments per floor. Unitech Uniworld Gardens is located in Sector 47, Gurgaon. Unitech Uniworld Gardens is build over 13 acres of lush greens land in Gurgaon Sohna Road, just a short drive from NH - 8 (Delhi - Jaipur Highway) and near to ILD Trade Center - Gurgaon Sohna Road. Unitech Uniworld Gardens offers a choice of 3 BHK, and 3 BHK + Servant room. 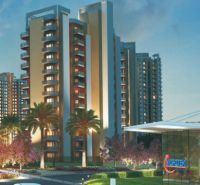 BPTP, Spacio Park Serene is located in Sector - 37 D, Gurgaon. Each apartment in this project has been designed to ensure the comfort of every member of the family. BPTP Spacio Park Serene is in close proximity to NH-8 and the upcoming 150 metre wide Northern Periphery Road (Dwarka Expressway) which is slated to be the country's widest expressway. BPTP, Spacio Park Serene offers a choice of 2 BHK, 3 BHK and 3 BHK + Study Utility Apartments. 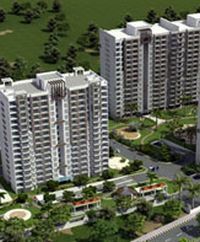 Sector - 33, Gurgaon JMD Gardens is a landmark residential project in Sector 33, Gurgaon Sohna Road, Gurgaon. JMD Gardens offers a choce of ready to move in apartments with options of 3 BHK ,4 BHK apartments and deluxe panthouses in Gurgaon. Unitech The Villas is located in Uniworld Resorts, Sector 33, Gurgaon. offer a life of serenity, sophistication and finest luxury living. Unitech The Villas is located within the 154-acre township Uniworld Resorts in Gurgaon. Size for plot sizes approximately 420 Sq. meters. 4 floors of living with private elevator. Sector - 31, Gurgaon Rahejas Atlantis is located in Sector 33, Gurgaon. Rahejas Atlantis is abouot 3 KM drive from DLF Star Mall and about 9 km drive from Udyog Vihar Industrial Area. Rahejas Atlantis are ready to move apartments in Gurgaon and are strategically located on National Highway No. 8 (NH8) and is located in between Rajeev Chowk and IFFCO Chowk. 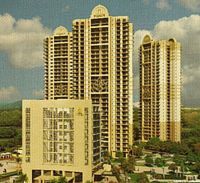 Rahejas Atlantis is opposite 32 nd milestone resort. Rahejas Atlantis offers a choice of 3 BHK + Utility Room (2168 Sq Ft), 4 BHK + Utility Room + Servant Room (2943 Sq Ft), 5 BHK (4419 Sq Ft), 6 BHK (5800 Sq Ft) Units. 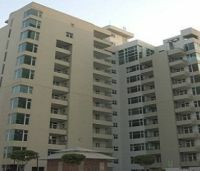 DLF Phase V, Sector - 26, Gurgaon DLF Wellington Estate is located in DLF Phase V, Sector 26, Gurgaon. DLF Wellington Estate is situate Off. Gurgaon Faridabad Road and is about 13 km drive from Indira Gandhi International Airport Delhi. There are 6 standards of 3 BHK (1,330 Sq. Ft. to 1,396 Sq. Ft.) and 6 standards of 4 BHK (1,645 Sq. Ft. to 1685 Sq. Ft.) Apartments in DLF Wellington Estate Gurgaon. Sector - 22, Gurgaon Ambience Creacions is located in Sector 22, Gurgaon. Ambience Creacions offers a choice of 3 BHK (2781 Sq Ft, 3090 Sq Ft, 3121 Sq Ft, 3482 Sq Ft), 4 BHK (3975 Sq Ft, 4422 Sq Ft), 5 BHK (9838 Sq Ft) Units. 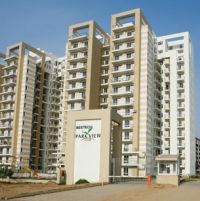 Sector - 3, Palam Vihar, Gurgaon Bestech Park View Residency is located in Sector 3, Palam Vihar, Gurgaon with a total of 680 apartments and offers a choice of 2 BHK, 2 BHK + Studyroom, 3 BHK, 3 BHK + Servant room apartmnets. Sector - 1, Gwal Pahari, Gurgaon Faridabad Express way, Gurgaon Ansal Valley View Estate is located in Gwal Pahari, Sector - 1, Gurgaon Faridabad Express way, Gurgaon, situated near to DLF Phase I, Gurgaon. Ansal Valley View Estate offers a choice of 1 BHK, 2 BHK, 3 BHK and 4 BHK apartments in Gurgaon. 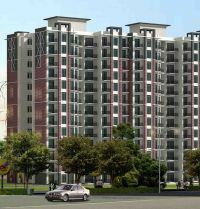 Gwal Pahari, Gurgaon Faridabad Express way, Gurgaon Paras Quartier is located in Gwal Pahari, Gurgaon Faridabad Express way, Gurgaon, situated near to DLF Phase I, Gurgaon. Paras Quartier is the most exclusive address coming up on Gurgaon�s Skyline. A super luxury residential project in Gurgaon, build over 10 acres of land in Gwal Pahari area. Paras Quartier offers 270 degree panoramic view of the surrounding Aravalli mountains range protected biosphere. Paras Quartier offers expansive 4 BHK + family lounge apartments.